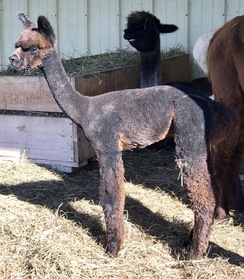 The focus of our close to 20 year breeding program has been fleece - fine fleece, dense fleece, fleece with a long staple length & fleece that is consistent in fineness, crimp & color. 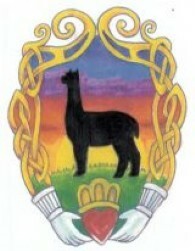 Our primary focus has been fleece. 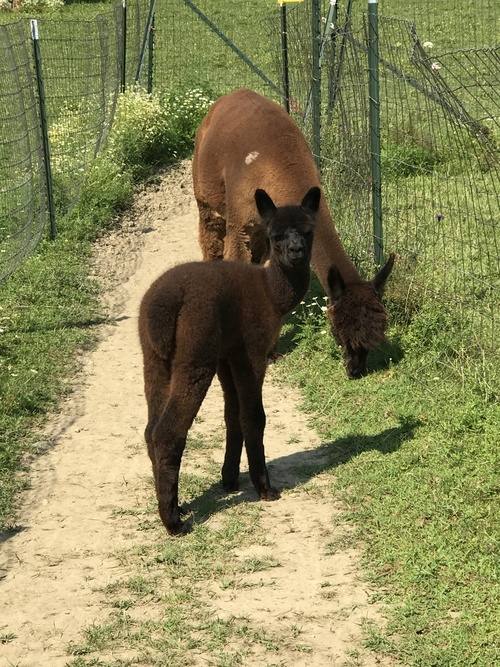 When cria are born, we evaluate them on their fleece quality & conformation - color is often a bonus & has not been a focus for us. This eye-catching young lady is a red-brown with dark points and a tiny bit of white at the tip of her tail. We just HAD to call her Foxy. 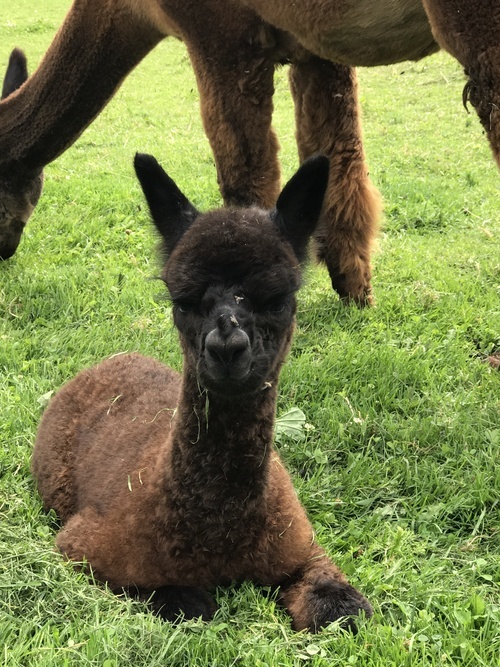 She's the oldest of the cria crop and definitely the leader of the pack. Her father is Accoyo Titan son, PC Riley's Life and her mother ,a modern gray,is out of champion Nyala's Fawn Connery, a Royal Avenger son. This little lady has some fantastic bloodlines. She is FIERCE. Finn is out of a modern grey mamma and classic grey daddy. He's a bay black w/ no white. He may turn gray later- time will tell. Finn has excellent bloodlines- he's the grandson of Lancaster and Accoyo Titan. Feb update- Finn's fleece is looking amazing- good character, density and fleece length given he was shorn in late August.